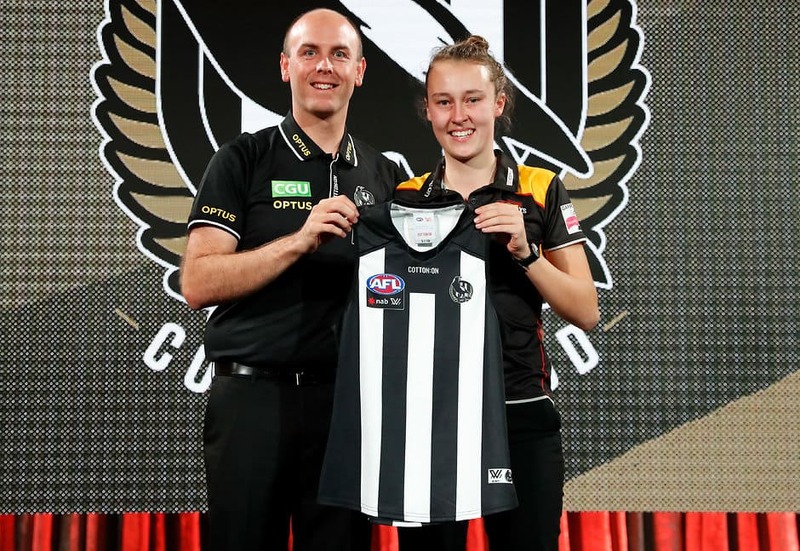 Collingwood AFLW coach Wayne Siekman is confident his new-look side can perform strongly this season. The Pies have 12 new players on their list and will field at least four debutants in their round one clash with Geelong at GMHBA Stadium on Saturday night. “The excitement of these young players coming in, it really lifts the group, and when some of the senior players see the level these players are at … they’re blown away,” Siekman said on SEN’s Afternoons program. “There’s an opportunity that they can come in and impact straight away. “For us and our fans, the excitement of what we’ve done with our list strategy …having 14 players that are 21 years of age or under, we want to build something. “We wants to build success, and more importantly we want to build sustained success. “How far we go this year is up to how quickly this group can learn and develop and grow.